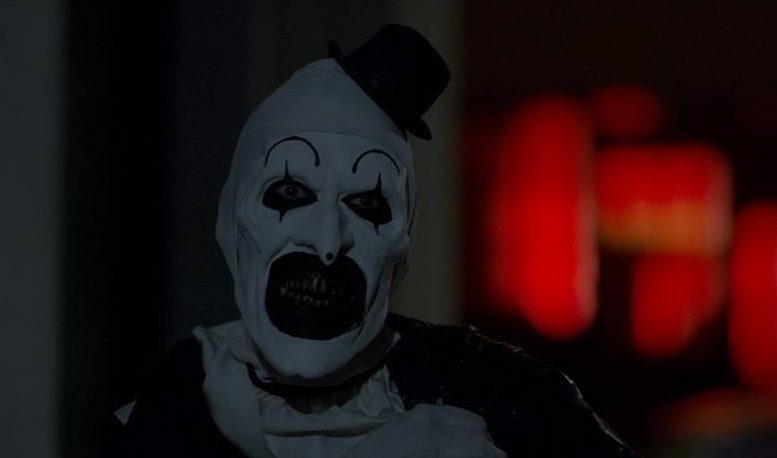 Art the Clown is back in the brutal first official trailer for the new All Hallows’ Eve spin-off Terrifier! Though there was an official sequel called All Hallows’ Eve 2 released in 2015, again an anthology of Halloween stories, it did not feature the vicious Art the Clown popping in and out of each of the shorts. But Art is finally back, and you can view the new trailer below! UPDATE: We have added the sick new poster art, which you can also view in the gallery below!